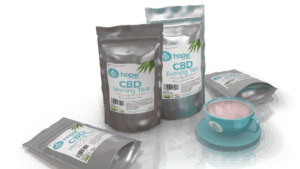 Happy 1st Birthday HopeCBD….a year in focus of the UKs best CBD company. This is how old HopeCBD is (give or take a few seconds) and what a year it has been. On this day what is effectively our 1st Birthday, we would like to reflect on the preceding year and look at some of our major achievements have been and why HopeCBD is the foremost provider of UK CBD oil. The last 2 years and particularly the last 12 months have defining for the UK CBD Oil market with, at the most recent count, over 600 companies now selling CBD; consumers now have choice but it is also worth noting that not all CBD is created equally and not all companies are created equally. 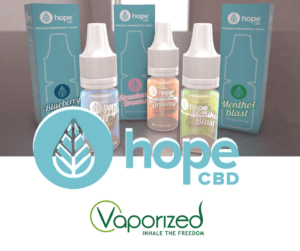 HopeCBD pride ourselves on our high standards that permeate through everything we do, we think it is great that there are so many companies selling CBD as this further expands the knowledge and awareness of CBD in society. Choice is good but if one were to look at The Paradox of Choice thesis by American Psychologist Barry Schwartz, it argues that eliminating consumer choice can greatly reduce anxiety for shoppers. Therefore as much as we welcome and support all organisations that sell CBD products, we are also confident in the knowledge that HopeCBD stands out from the crowd and for all the right reasons. With so much choice, what makes HopeCBD the best CBD oil company in the UK? 1.3million Social Media Video views. First UK CBD company to run a national television advertising campaign. First UK CBD company to run a national radio advertising campaign. Launched a CBD e-liquid range into over 110 high street Vaporized stores. Secured major sponsorship with Scottish Premiership Football Club – Hamilton Academical FC. Their stadium is now known as the HopeCBD Stadium. Had a very successful show at the Ideal Home Show Scotland. HopeCBD have been directly been featured in the following media outlets. We have major plans for the coming year to further build on the success and accomplishements of the last 12 months and at all times we have maintained and will continue to maintain our core value of providing consumer confidence for the UK CBD market, allowing people to buy CBD oils and buy CBD products with confidence.